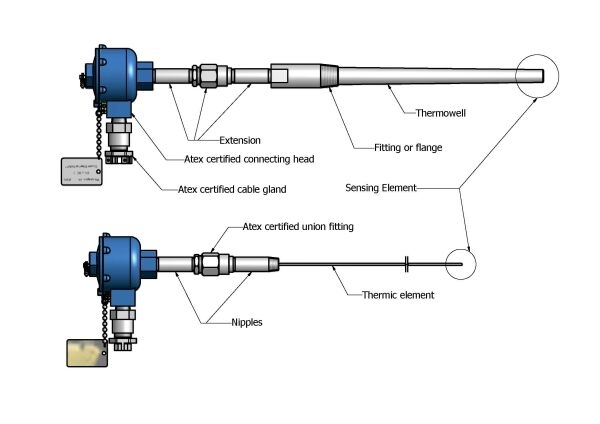 Such temperature sensors are designed for use in potentially explosive atmospheres in compliance with the 94/9/CE European Directive. 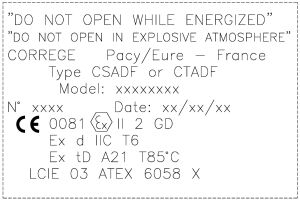 "d" protection concept - flameproof enclosure - means that any explosion has to be confined inside the sensor thanks to a very robust envelope. Such temperature sensors are mostly used in surroundings where the reading out area is at a distance from the measure taking area. The active part, either a thermocouple or a PT100, is generally protected by a metallic tube or sheath. It is either in direct contact with the measured environment or placed inside a thermowell. Connection is made through a terminal block or a transmitter protected by a connecting head. 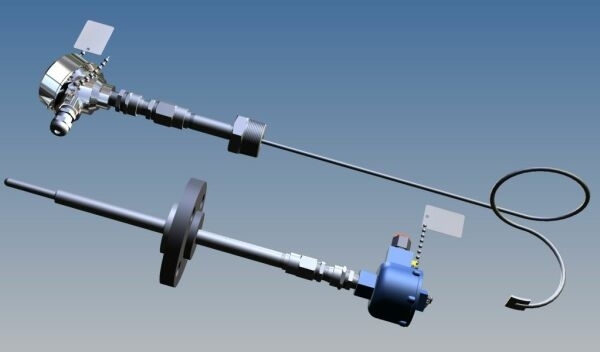 Different fixation devices (flange, welded or sliding fitting) allow perfect tightness between the zones and/or the sensor components. 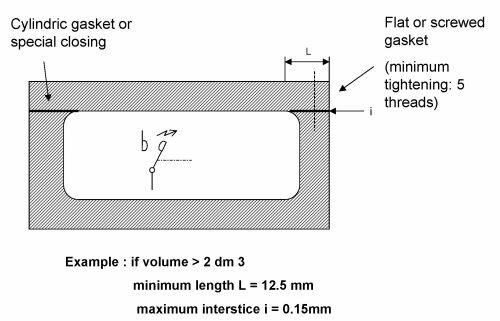 The process data and the 94/9/CE Directive requirements determine the dimensional features of the thermowells which must pass overpressure tests. The selected materials as well as the type of fixation must ensure a safe and reliable use. The essential features defining the sensor performance are tightness, resistance to vibrations, corrosion, shocks, wear and tear and resistance to any disturbing factors.